Visiting District Judge udge Robert Garza listens to closing arguments in the murder trial of Juan Carlos Lara, who is accused of killing Jaime Ramos in 2015, at Hidalgo County Courthouse on June 8, 2017, in Edinburg. 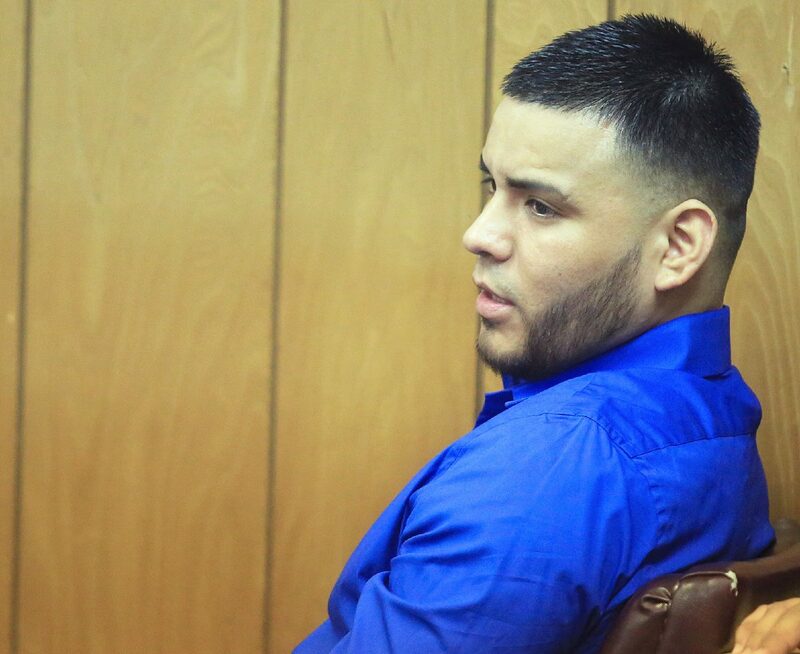 EDINBURG — Despite a revelatory closing argument from the man’s attorney that included the introduction of new evidence, a jury could not come to an agreement on Juan Carlos Lara’s fate. Lara walked out of court knowing that the long two-year process to get to this point would start all over from the beginning. The trial was highlighted by the last-second introduction of evidence by the defense that showed a ballistic analysis of the casings found on the victim, Jaime Ramos, pointed to there being a second gun used in the shooting. Both supporters of Lara and Ramos filed out soon after jurors told the court they could not come to a consensus. 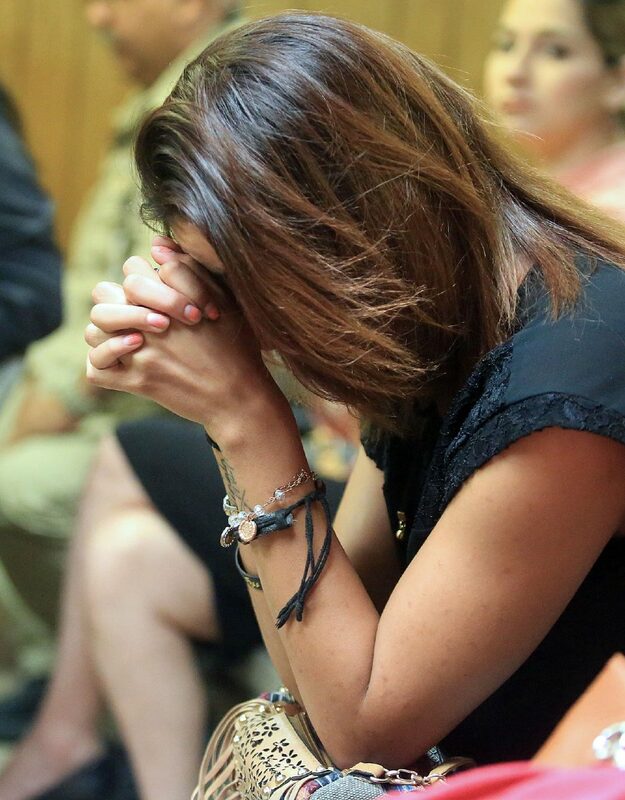 Maria Muñoz, wife of Jaime Ramos, reacts at the end of closing arguments in the murder trial of Juan Carlos Lara, who is accused of killing Ramos in 2015, at Hidalgo County Courthouse June 8, 2017, in Edinburg. Juan Carlos Lara listens to closing arguments at Hidalgo County Courthouse June 8, 2017, in Edinburg. 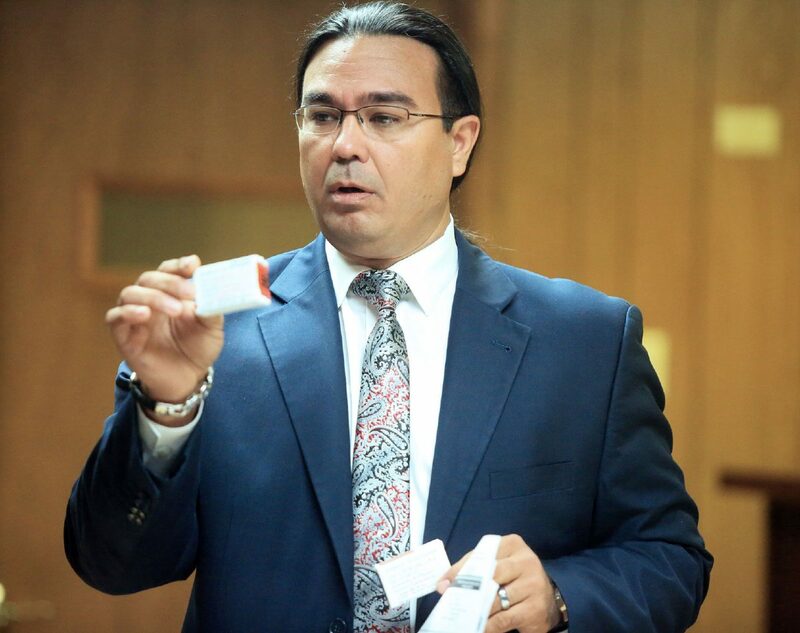 Rene Flores, lawyer for the defendant, displays evidence during closing arguments in the murder trial of Juan Carlos Lara, who is accused of killing Jaime Ramos in 2015, at the Hidalgo County Courthouse on June 8, 2017, in Edinburg. 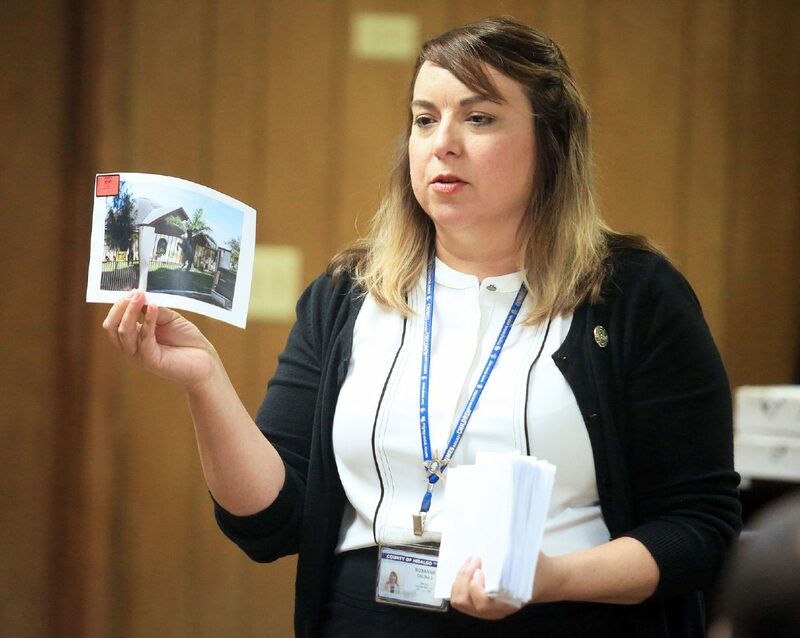 Hidalgo County Assistant District Attorney Roxanne Salinas displays evidence during closing arguments in the murder trial of Juan Carlos Lara, who is accused of killing Jaime Ramos in 2015, at Hidalgo county courthouse June 8, 2017 in Edinburg. The mistrial Friday afternoon came after jurors deliberated for more than eight hours — deliberations which began at least in part late Thursday afternoon after closing arguments. The state, represented by Roxanna Salinas and Nick Moore, relied heavily on witness testimony to persuade jurors that Lara acted alone when he shot Ramos at point blank range in early 2015. Prosecutors alleged that Lara, who they said had ties to drug trafficking organizations, shot Ramos twice at about 4 p.m. on Jan. 15, 2015, while he, his wife, and two young children sat inside a travel trailer. Lara, the state alleges, shot Ramos’ as retribution for a load of marijuana Ramos lost — after weeks of threatening messages and phone calls from Lara. The 31-year-old Lara fled into Mexico following the shooting, only to surrender to authorities more than a week later. The prosecution’s case relied heavily testimony of Ramos’ wife, Maria Munoz, the only witness to the shooting. Also to take the stand during the trial were neighbors, family, and friends of Ramos, who all in one form or another supported the state’s argument that a man named “Plomo,” who was known to many in the Palmview neighborhood, was the trigger man. At first Muñoz testified she did not know who it was that shot her husband, and was unable provide police with a description of Lara — testimony corroborated by several law enforcement officials with Palmview Police who said the woman did not give a name or description. Salinas told jurors during closing Thursday, that it was true, Muñoz had never seen Lara before; but argued the trauma of witnessing her husband’s killing has remained with her, and with it the seared memory of Lara’s face. Salinas did not address the second gun introduced by the defense, instead she nudged jurors to remember that Lara did not surrender for more than a week — plenty of time for him to cover his tracks, and flee. 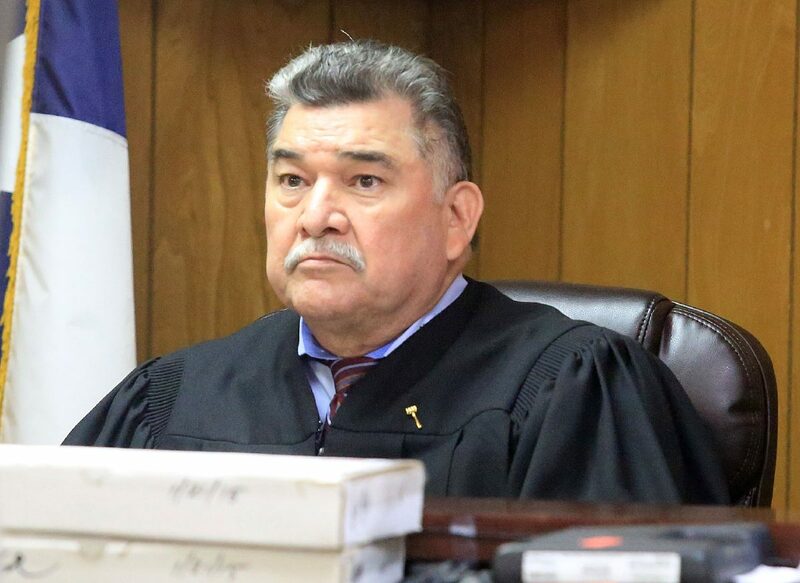 The defense, represented by attorney O. Rene Flores and co-chair Regina Richardson, tried to poke holes in Muñoz’s account of the shooting, and pointed to multiple instances of how Palmview police bungled the case from the onset. Muñoz also testified that she and her husband were daily users of synthetic marijuana, or Spice, a dangerous street drug known to cause hallucinations, and other mental deficiencies, a fact that the defense pounced on during closing — in an attempt to underscore how the state had bet their conviction on Ramos’ wife, and little else. Highlighting Muñoz’s inconsistent testimony, first saying she knew who Lara was, despite never meeting him, the defense worked to show jurors how, despite the tragic circumstances, they should be resolute in finding their client not guilty. Flores also reminded jurors of an anonymous call that police received days after a Lara’s surrender, where an unknown male alleged that two other people were responsible for the shooting death of Ramos, and how despite this tip, police did not thoroughly investigate this, because they already had Lara in custody. The defense cited this as an example of the police’s lack of diligence throughout the course of the case. Ultimately the state’s lack of physical, biological, recovered fingerprints or DNA linking Lara to the crime, forced jurors to rely on Muñoz’s testimony — which may have been the state’s downfall. A new court date was not immediately set.